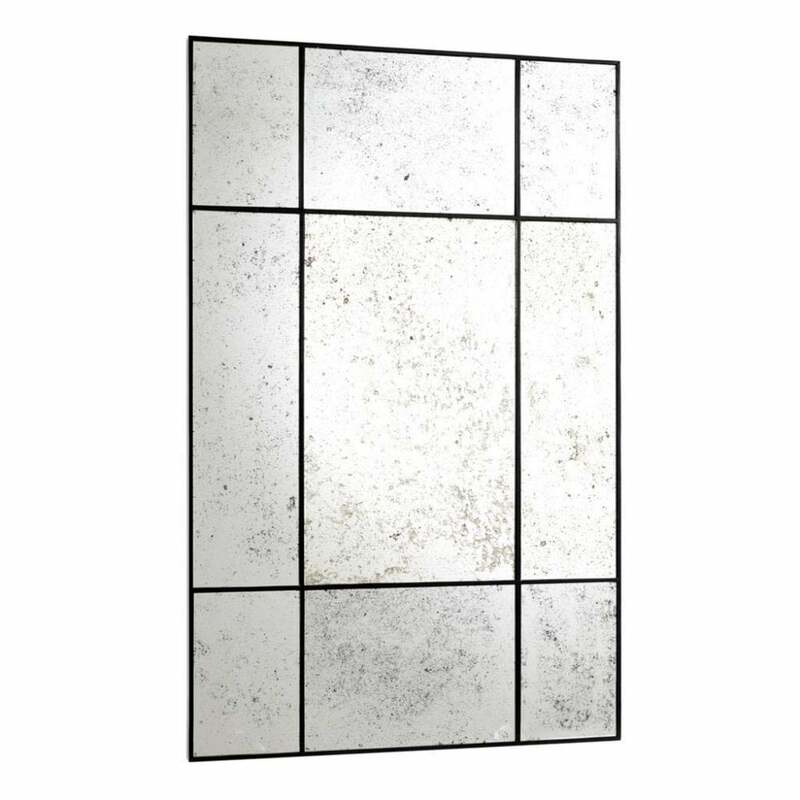 Finished with antique mirror glass, this sleek rectangular mirror has a cool vintage vibe. Featuring a large window frame design, the Mountbatten Antique Glass Mirror by Eichholtz is crafted from mahogany wood. The dark black lacquer adds depth to the textured glass within. Each antique glass panel has a beautiful oxidised patina effect that contrasts beautifully with the simple frame. Hang portrait or landscape to suit your interior scheme. Position behind a sofa or above a fireplace for effortless Parisian style elegance. Mountbatten will also create light and radiance in a hallway or entranceway. Combine with sumptuous fabrics and natural woods for a chic look. Also available with clear glass mirror panels, make an enquiry for more information.